YouBIM® is a Cloud-based Software, which extends the value of BIM [Building Information Modeling] through to the Buildings Lifecycle by giving owners an integrated database and instant access to location and asset information through an easy-to-navigate web-based 2D/3D-BIM interface. YouBIM attaches rich data and documents [PDFs, JPGs, Excels, etc.] to smart objects within the online Building Information Model (BIM) dataset. In addition, YouBIM includes “light” Work Orders and Preventive Maintenance functionalities and it seamlessly integrates with CMMS and CAFM systems like IBM Maximo, Planon Software, ArchiBUS, Infor, etc. YouBIM can also integrate with BAS/BMS bringing live performance data to be displayed within the YouBIM environment. The YouBIM User Interface differentiates itself from other solutions in the industry by designing the User Experience with focus on the Owner and facility staff. 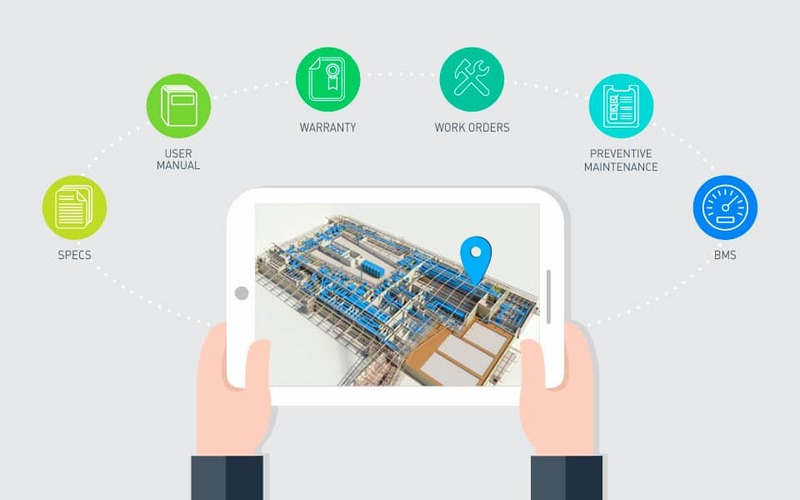 YouBIM is like a “Google Maps® or iMaps but for a Facility”, answering the “Where” (Location) and the “What” (attributes, history, specs, warranty info…) of the components of a Facility (Assets, Systems, Spaces), enhanced with live performance data from Work Orders and BAS. BIM has proven value to the Design and Construction process but is only just emerging within the Facility Management industry. The current tools available are difficult to use and often require trained personnel to even have access to them. Even with the proper skills to access and operate these tools, data is still not integrated or accessible to facilities’ personnel. YouBIM has been designed to focus on one principle: SIMPLICITY– to allow easy access to non-BIM experts. YouBIM can act as BIM for FM middleware; providing a bridge from the design/construction to operations/facilities management. Bringing together Building Information Modeling, Building Automation Systems, Work Management data from the CMMS software, into one single platform.